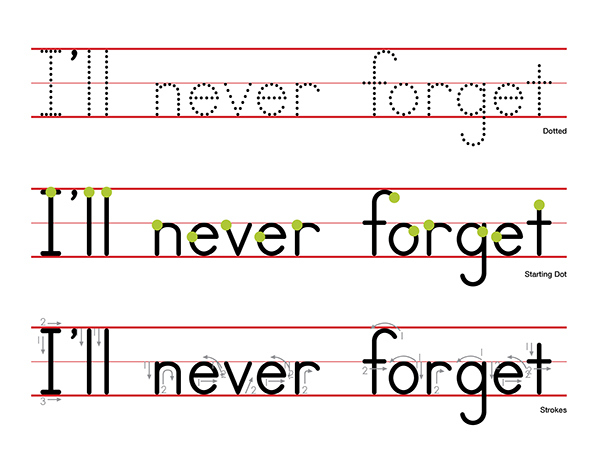 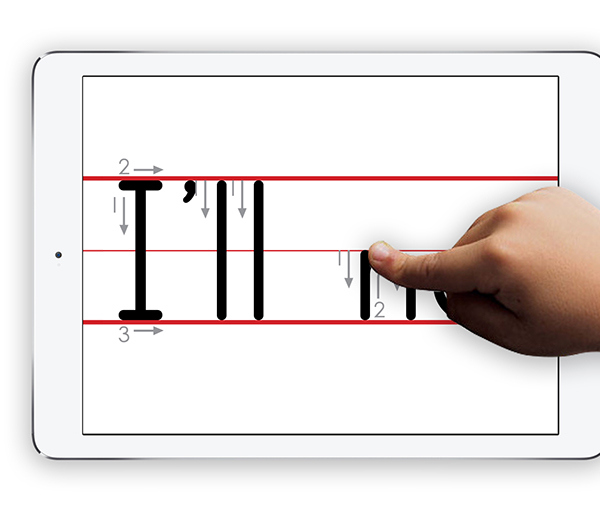 Typeface designed for Age of Learning to teach children how to draw characters and cursive. 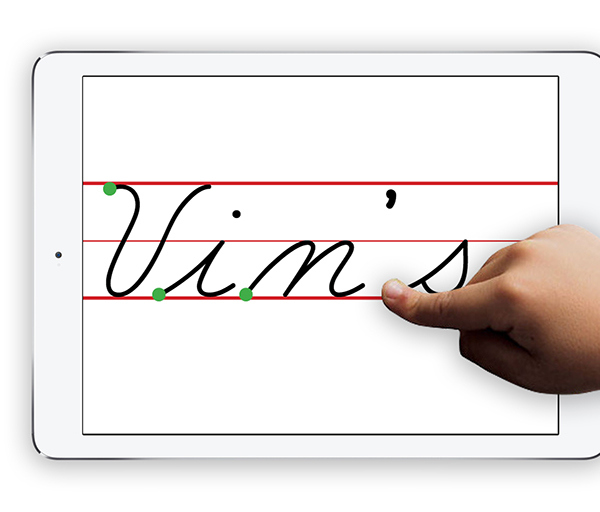 Used in schools to teach children how to draw cursive (a dying form), using technology like the ipad and other learning tools in the classroom. 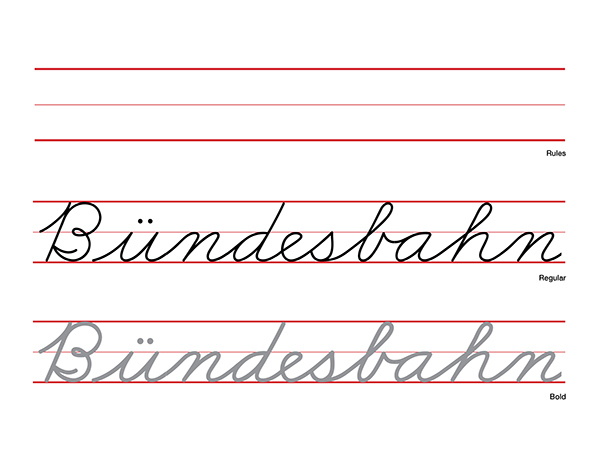 Redrew ABC Mouse Print from an earlier version, and created various weights. 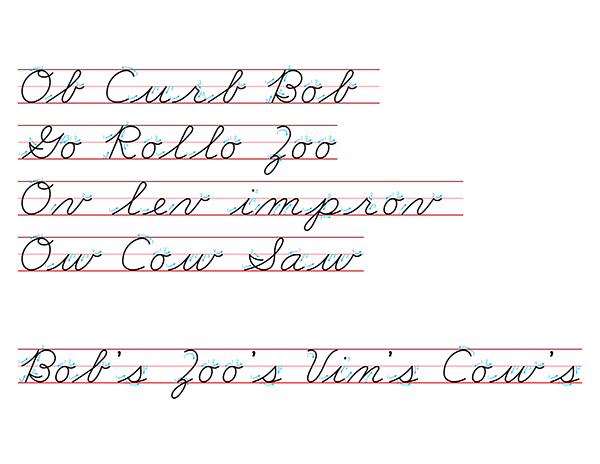 ABC Mouse Cursive was scripted and coded with the help of Greg Lindy from Lux Typographics. 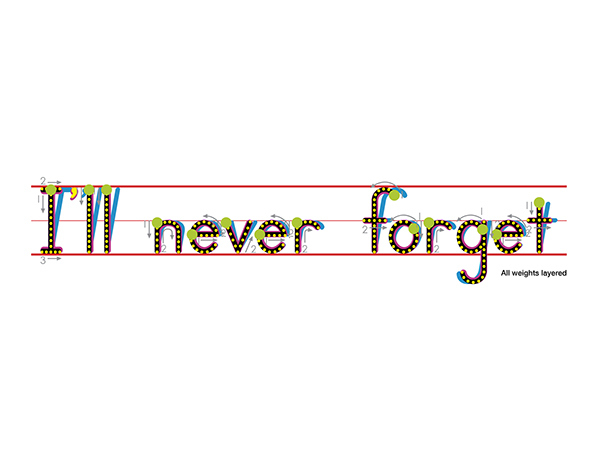 Rules, Regular, Italic, Bold, Dotted, Starting Dot, and Stroke weights are all meant to align when layered one on top of another. 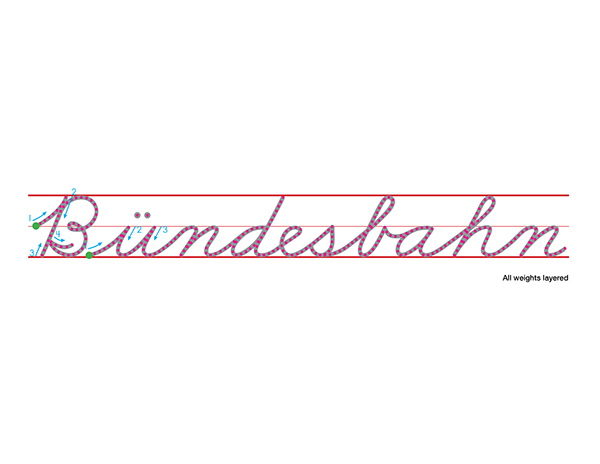 Typeface design for children's educational company. 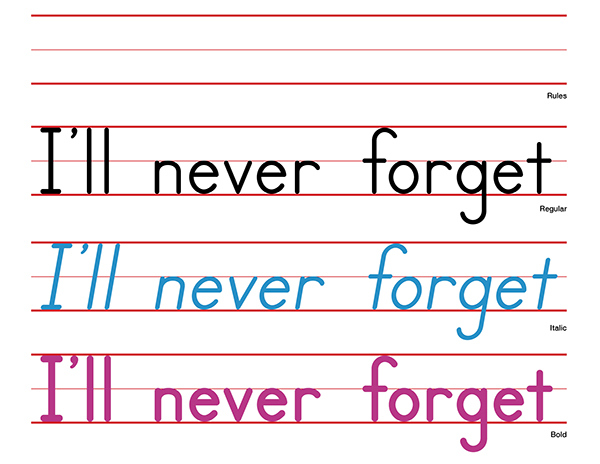 Typefaces used in educational setting in schools that want to continue the tradition of teaching cursive to their students.